Crochet area measures 5 in. X 3 ½ in. Feathers extend 3 in. and 4 in. 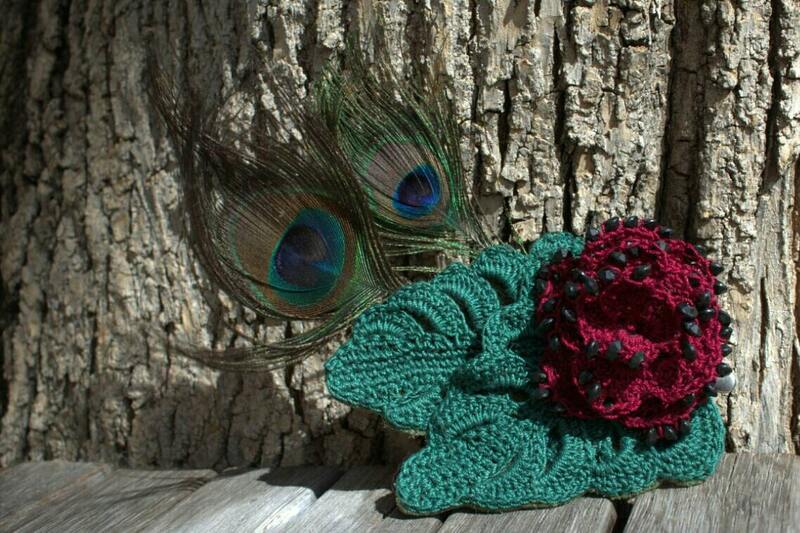 A crochet beaded red rose sits on 2 crochet lace leaves with two natural peacock feathers. 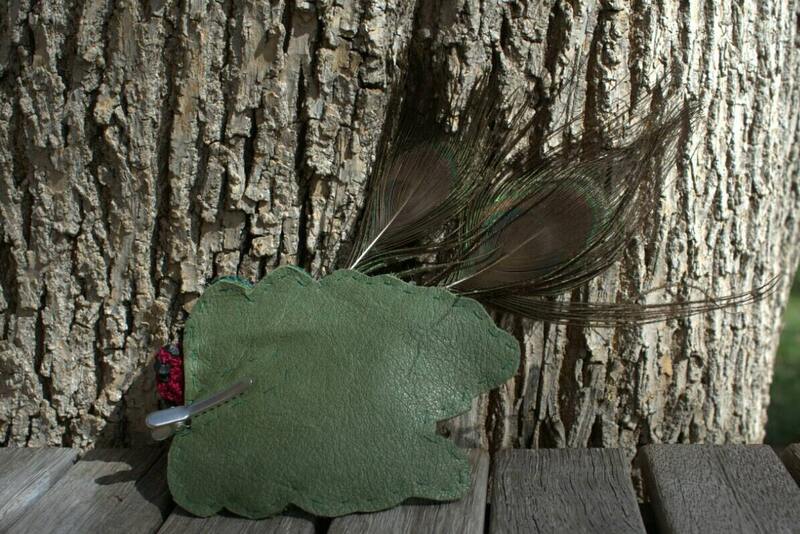 The piece is backed in soft green leather and hand stitched. 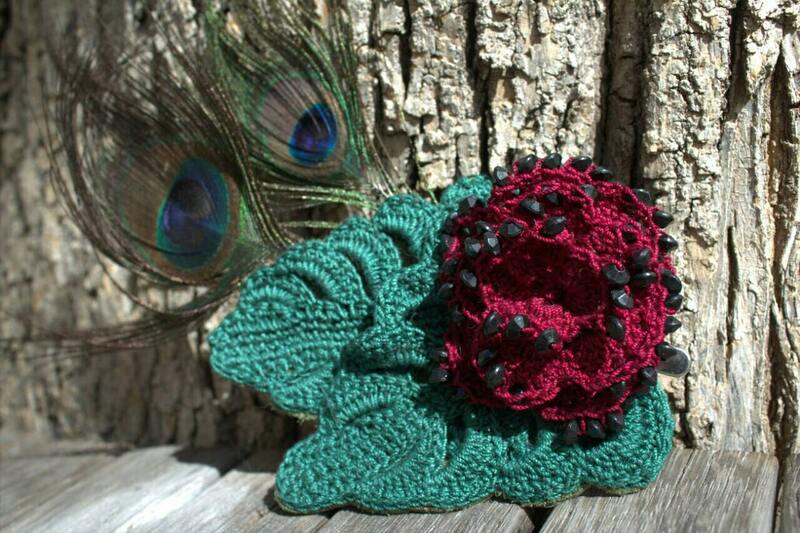 A silver easy-to-grasp clip is attached on the back of this sturdy hairclip/hatpin, making it easy to add color, texture and style to any outfit.